Do you love kittens? I don't think I have to tell you that I do. And I also love mass production. 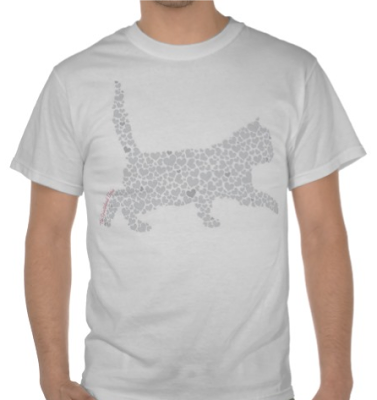 So, today I did a little work on something that combines the two: A kitten tee. Check out the image of the tee here, a kitten made of hearts. Because, really, aren't all kittens made of love anyway? I've ordered mine, and now I'm pretty pumped. Anyway, just thought I'd share! Want to check it out? You can see all the Spinsterhood Diaries stuff here: http://www.zazzle.com/spinsterstore. So ch-check it out!